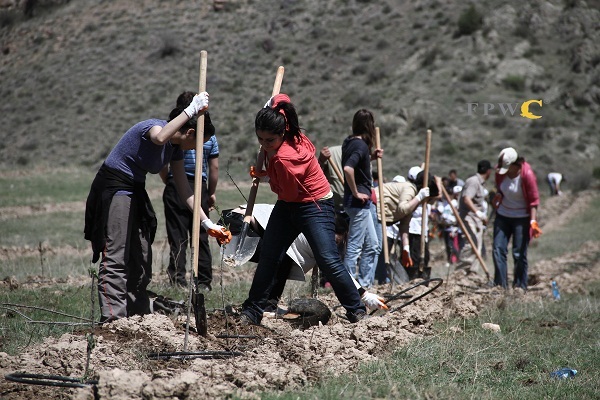 Local people, from the village of Urtsadzor, marked Earth Day by volunteering with their nearby conservation organisation, Foundation for the Preservation of Wildlife and Cultural Assets (FPWC ),planting trees in the Caucasus Wildlife Refuge neighbouring their homes in south-western Armenia. 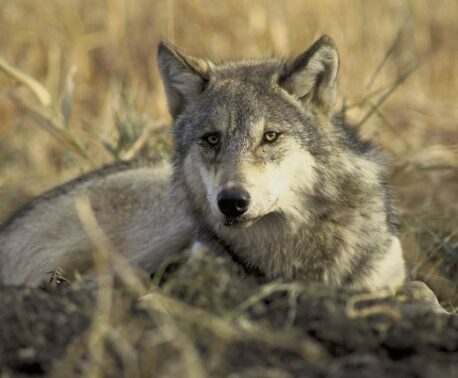 This demonstration of support for conservation will greatly improve the reserve’s habitat for their resident Brown Bears, Grey Wolves, and Bezoar Ibex (or Armenia Wild Goat, Capra Aegagrus aegarus). The Bezoar is a spectacular animal, with horns nearly as long as its body, and only exists in the Caucasus region. This year, FPWC will plant 2,000 trees in the reserve thanks their partners World Land Trust (WLT) and their corporate supporter VivaCell-MTS. The reserve is extremely rich in ﬂora, as well as fauna, and among its highlights are the ancient juniper trees and the endemic ﬂower, Iris elegantissima. 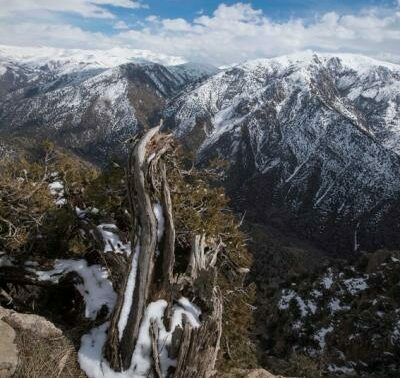 By funding head ranger Manuk Manukyan, through the Keepers of the Wild programme, WLT is helping FPWC protect the reserve and all its wildlife. Manuk is training three new rangers, all from the local community, who are working towards reducing illegal hunting in the reserve to protect its threatened wildlife. The rangers have also seen Brown Bears in the reserve – including a female with two cubs – and wolves have been spotted preying on a healthy population of Bezoar Ibex; overhunting of this species has caused a dramatic decline in the wild population. 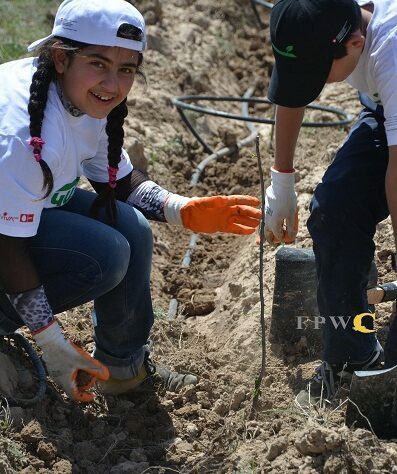 The habitat for all these species will be enhanced thanks to the tree planting work of yesterday’s volunteers – ensuring a successful Earth Day for Armenia’s wildlife.